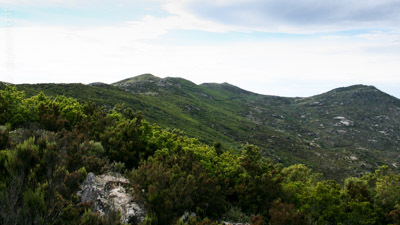 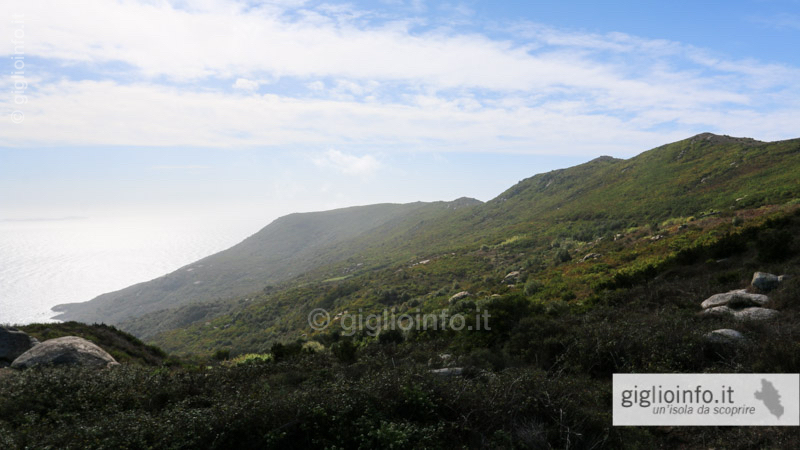 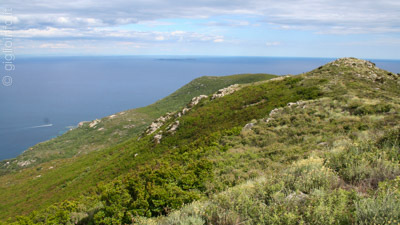 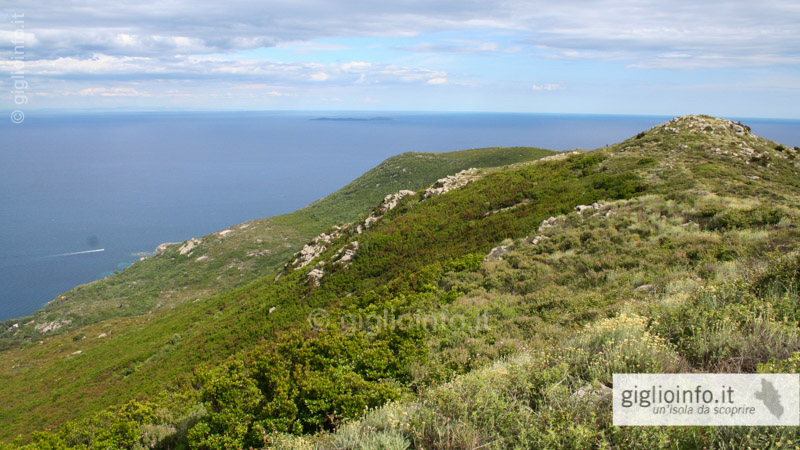 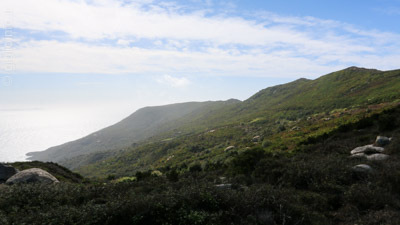 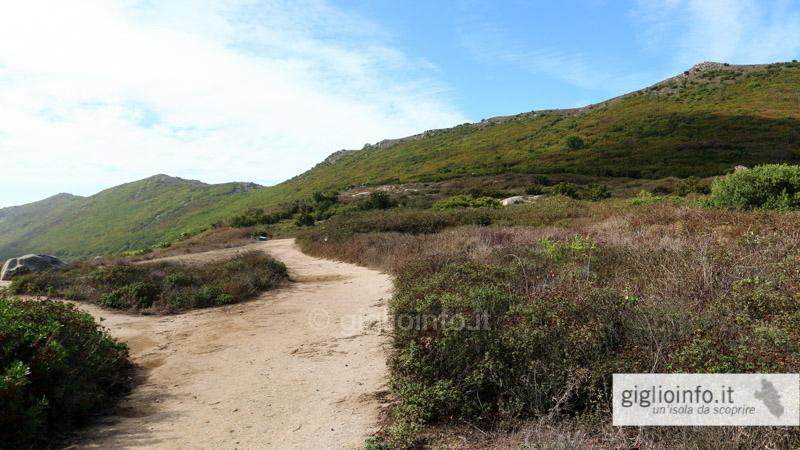 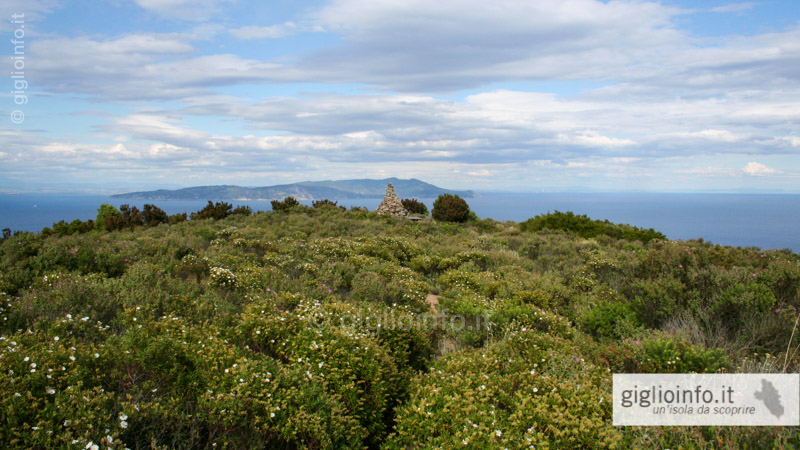 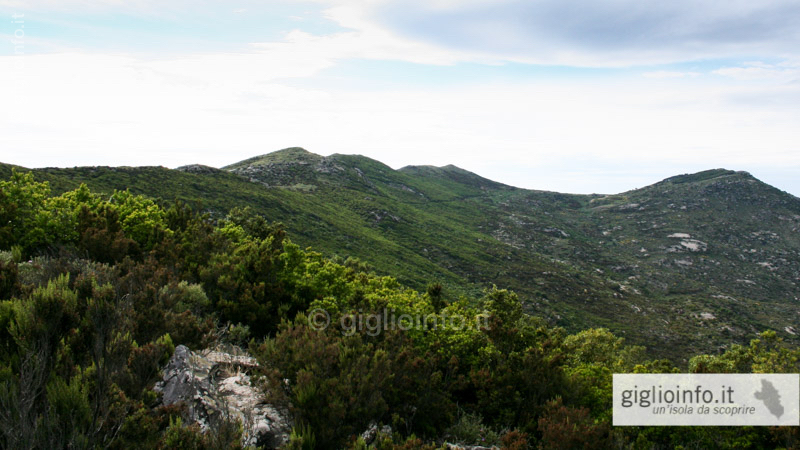 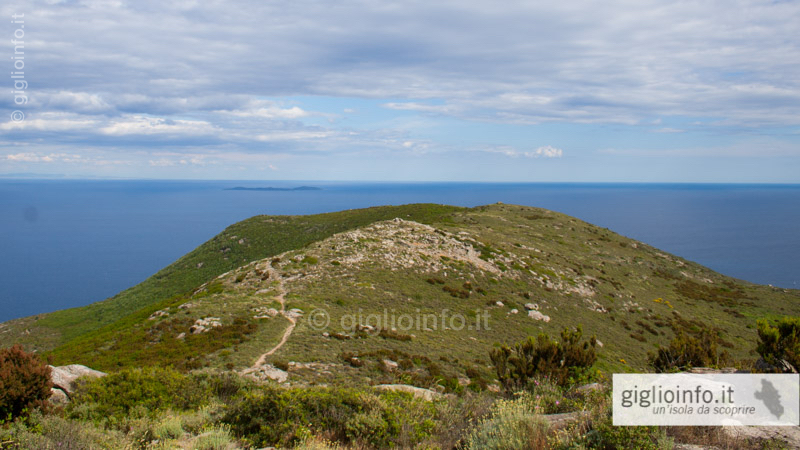 The walking path from Giglio Castello to the Poggio del Sasso Ritto runs along the ridge of the Isola del Giglio without any major inclines and offers spectacular views of the coast and the Tuscan archipelago. 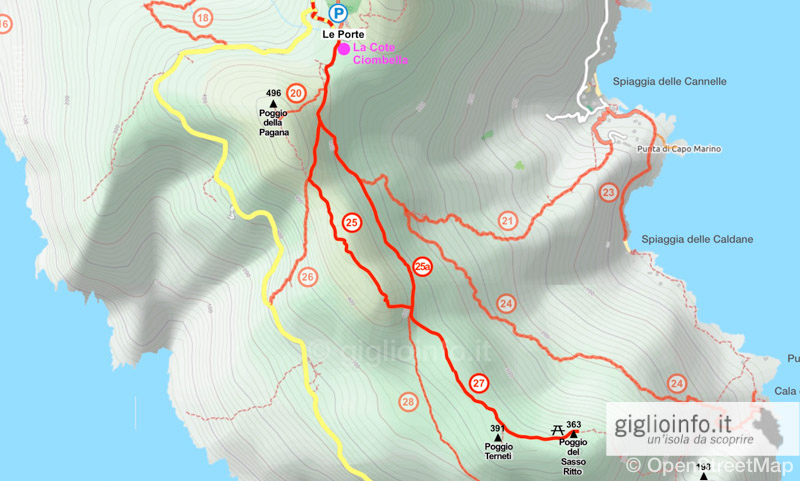 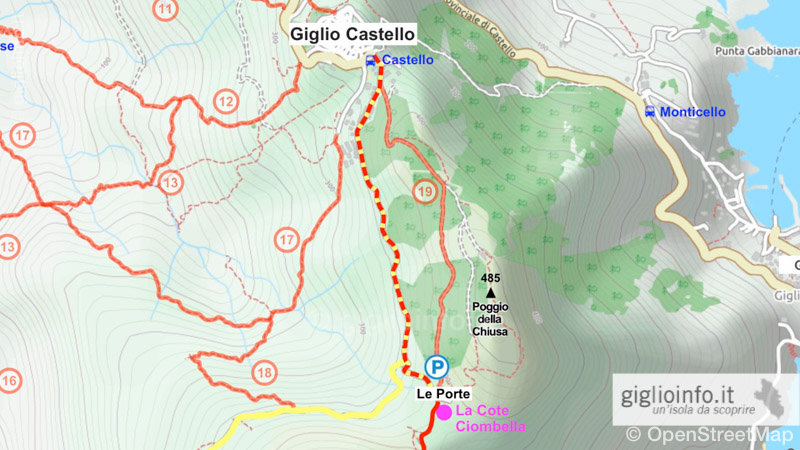 This route is one of the classic walks of the "Castellani" in the less hot seasons. 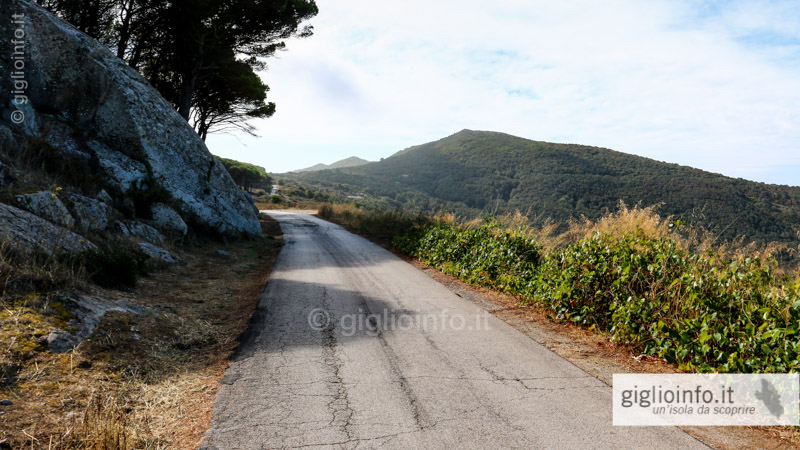 From Piazza Gloriosa (364 meters above sea level) take the paved road south for about 1.4 km. 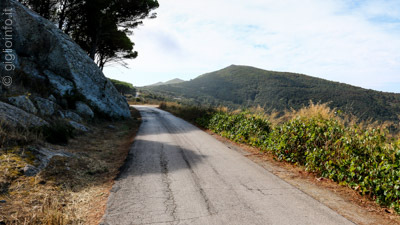 Then turn left onto the paved road that leads to the old landfill site Le Porte (398 meters above sea level). 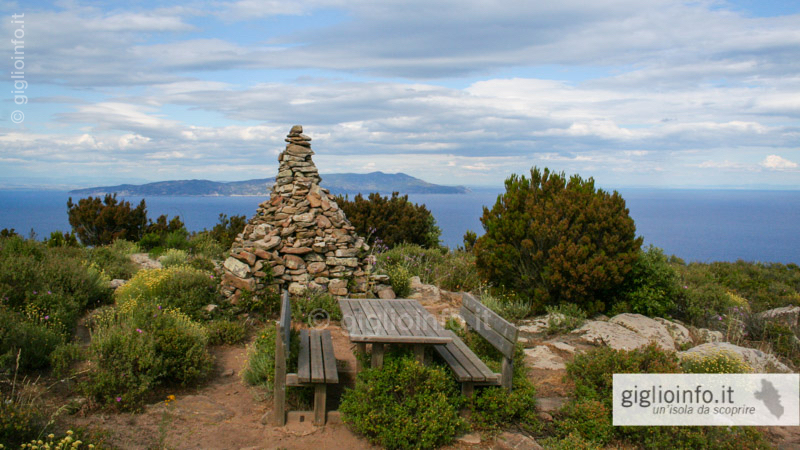 If you are on the island by car, you can also park it here (the distance is shortened by about 3 km, 50 minutes A / R). 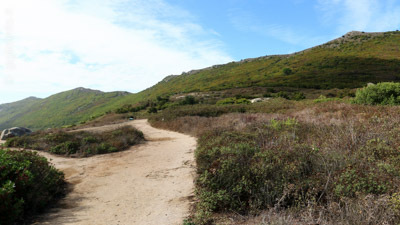 The beginning of several paths as well as the trail 25 is just before the gate of the old landfill. 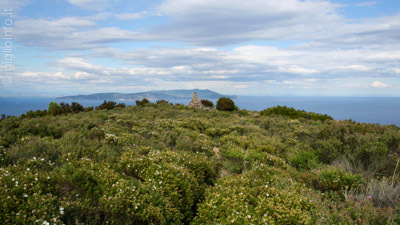 After a few meters you pass the megalith La Cote Ciombella on the left side. 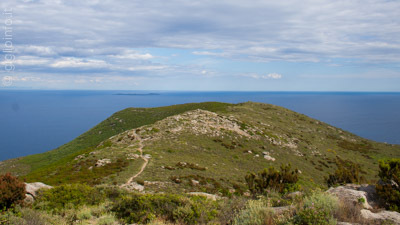 The trail passes below the highest mountain of the island, the Poggio di Pagana and climbs up to 408 meters above sea level. 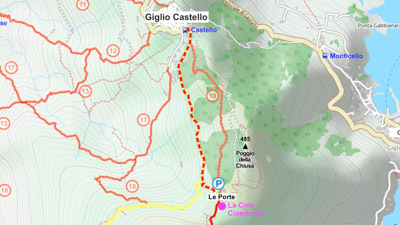 From there the trail descends slowly (some up and down) to the Poggio del Sasso Ritto, 360 m. above sea level. 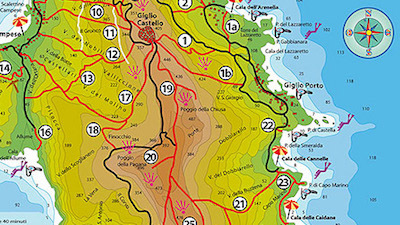 < You will remain the whole time on the ridge, first on trail 25 and then on trail 27, enjoyiing breathtaking views of the coast and the Tuscan archipelago. 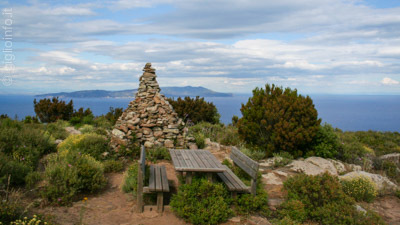 At the Poggio del Sasso Ritto there is also a picnic area. 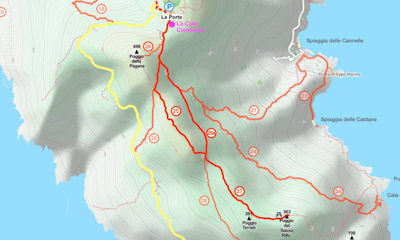 Going back you can also take the flatter Variente trail 25.